« No, Yoshi wouldn’t let me drive. … and the coolest candles. 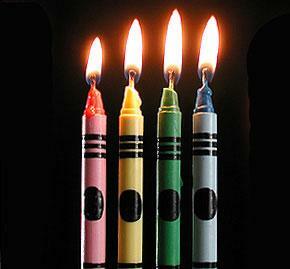 I thought I had found the coolest birthday candles. Colored flames, how cool is that?! THAT is cool! Never seen those before. Ooh ooh! I want some! Ohhhh – Mighty purty! That Yoshis’ dad – ya never know what he is going to do next! very cool! Yoshi’s Dad is in *the know* How on earth did he find those??? where do u find these ???? now i want some. my brother’s birthday is TOMORROW. Yup, those ARE pretty cool!